Amazon catfish, piranhas and many other river fish. 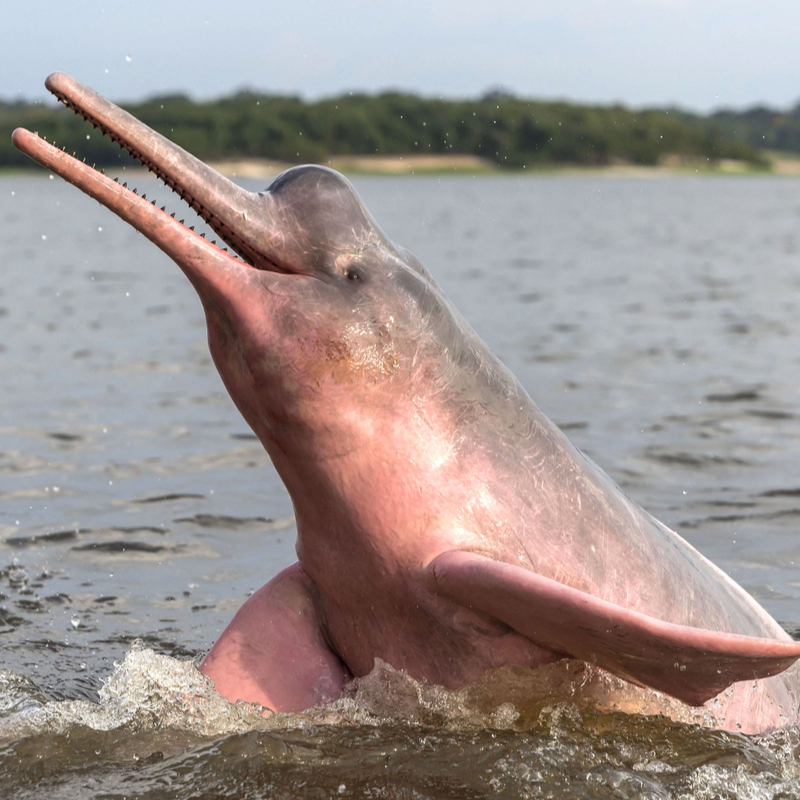 The Boto may also eat crabs and turtles. Botos measure approximately 6 - 9 feet * and weighs up to 330 - 350 lbs. Gestation period is about 10 - 12 months. The female will give birth to usually one infant.